Opportunities for expanding investment portfolios have massively diversified throughout previous decades. In recent times, traditional and popular investments have included property, shares, gold and diamonds. However, fine wine investment has now become one of the best-performing alternative investments. Though lucrative, the wine investment industry is shrouded in confusion regarding terminology, dodgy deals, and whether or not wine truly does appreciate in value all that often. So, is wine actually worth investing in? Provenance is a term that relates to the history of a wine bottle, specifically: where it has been stored and how it came to be there. The issue of provenance is very important in wine investment as it can be instrumental in determining quality and therefore reducing the risk of wine fraud. When attempting to convince people to invest in wine, untrustworthy companies will often fabricate their wine’s provenance to make it seem more impressive. When looking to buy, the same companies will tell fine wine owners that their wine’s provenance is unremarkable. Bottle condition is also a significant factor for assessing the value of wine. Whether buying or selling wine it is important that the “condition” is in order, as UK-based fine wine buyers The London Wine Cellar specify in their bottle inspection guidelines. Sometimes condition checks will be impossible to conduct. Many wine investors keep their wine in bonded warehouses. This means that although the investor has to pay storage fees, they do not have to pay tax on their investment as long as it stays in the bonded warehouse. There are many unreliable companies operating in the wine investment market that have managed to attract investors with offers that are too good to be true. Arguing that stock is constantly dwindling as buyers drink their wine, they reason the remaining wine must be appreciating in value as it becomes more rare. But this is not always the case. Bottle condition, demand, economic climate and temporal wine trends can all collectively affect the worth of a bottle considerably. Though fine wine has become a popular form of investment, that doesn’t mean that business is always booming. Anybody interested in getting involved will have to be very careful when choosing wines and merchants. To keep an eye on the ever fluctuating world of wine values, sites like Liv-Ex can be useful for insights and up-to-date news on the value of sought-after wines. There are various tactics in circulation for fraudulent wine investment companies. Some will plan to go into liquidation following payment, while others simply promise sales that never materialise. The best possible outcome from either scenario would leave the investor with virtually worthless bottles of wine. The prevalence of wine-related fraud has motivated Jim Budd, an award-winning wine expert and writer, to dedicate a website for raising awareness of wine investment scams. This website lists sites and companies that he would not buy from, citing evidential emails and correspondence that indicates dubious behaviour or fraudulent activities. Ultimately, investors with little knowledge of wine or wine history should probably look elsewhere. To some degree, investments are always a risk, but when the risk extends to choosing a reputable company to work with, the rewards may not be worth it. 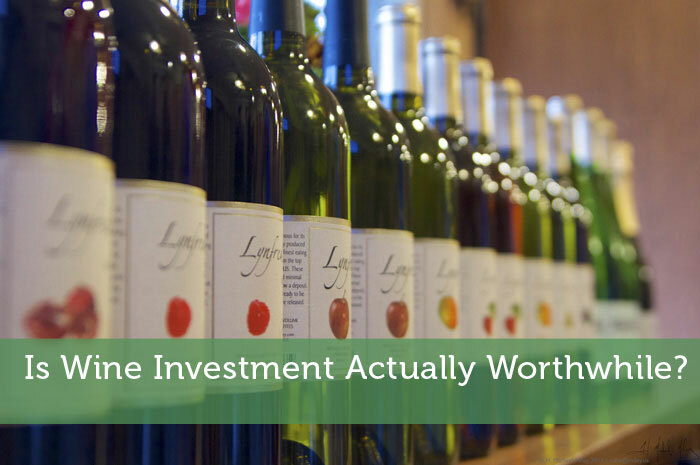 Is Wine Investment Actually Worthwhile? I have a friend who invest in wine and he is an expert in this so I think he has less risk. I agree with you Adam that if they have little knowledge about wine or investing itself, it’s either it’s not for them or they have to study how this works and what it is about. Nice write-up Adam! All investments carry risks and prices may go down as well as up, fine wine is no exception. Fine wine prices vary so always check that you are paying a fair price. Whenever you plan on investing, be it in real estate, gold or wine, always remember you would need to understand your objectives in regards to investing in fine wine i.e. how much capital you would seek to invest over what period of time, any brand preferences in terms of specific wines and any level of weighting within a portfolio in terms of price. With this in mind our specialists will select wines and introduce them to you as portfolio options.